The Ys series has been around since 1987 and has had a lot of games released in the series as well as a few remakes. In 2016 Ys VIII: Lacrimosa of DANA was released for the PS4, PS Vita, and PC and recently a Nintendo Switch version was released. We got a chance to test the Nintendo Switch version and go on an adventure with the main character Adol. Ys VIII: Lacrimosa of DANA has been developed by Nihon Falcom Corporation and been published by NIS America. So with our trusty Joy-Con’s in hand, we were ready to discover a mysterious island. In Ys VIII: Lacrimosa of DANA you play as the main character Adol Christin. You are on board of a big ship called the Lombardia. Adol is working as a temporary sailor on this ship together with his partner Dogi. The captain agreed to let them come along on the journey to Eresia if they help out on the ship. While on their journey, the captain calls Adol into his chamber to tell him about a mysterious island they will be passing by called: The Isle of Seiren. 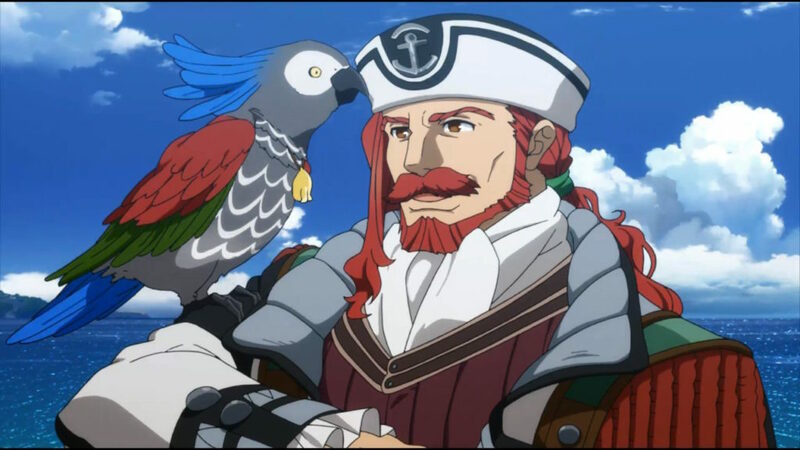 The captain tells the story of the Island because he’s sure Adol is interested as he is an adventurer. After the talk with the captain, Adol has to patrol the ship for suspicious activity and to look for possible stowaways. Not long after finishing his patrol he gets called back to the captain’s quarters. They will be passing by the island shortly. However, before they can go out to look at the island, there is a disturbance. Tentacles have grabbed the ship. Adol manages to scare them away for a bit but they come back and make the Lombardia sink. When Adol wakes up after the accident he finds out they are on the Isle of Seiren. When walking around he manages to team up with more people from the ship. He forms a team with a noble girl called Laxia and a fisherman called Sahad to search the island for survivors from the Lombardia. As you discover more of the Isle of Seiren you find out more about the mysterious island and its creatures. There are notes and buildings that previous castaways left as well as bodies from the castaways themselves that give you a bit more information. Throughout the game, you also hear stories from your party members and the other survivors which gives you more insight into their backstories. Adol himself has dreams that give you a bit of backstory from a mysterious girl. The story progresses nicely and keeps your attention. The Graphics of Ys VIII: Lacrimosa of DANA are pretty good. Most of the art style is in an anime style both a small bit in 2D and for the most part in 3D. Backgrounds in the game are okay but not overly detailed. There are some places in the game that are a bit more detailed like for example the landmarks that you come across. The characters are well designed and each one has their own look that shows a bit of their personality. There are a lot of different monster designs in the game with both regular monsters, stronger monsters, and bosses. Bosses have a really nice design and are mostly a mix match of different kinds of animals and creatures. Other enemies have a simpler design but are still nicely made. The Music in Ys VIII is really great. It’s nice and catchy and isn’t too overpowering. You can choose to change the voice acting in either Japanese or English. Both languages have pretty great voice acting but the Japanese stand out just a little bit more, as more emotions are present in the Japanese voices. Sound effects in the game are well done. 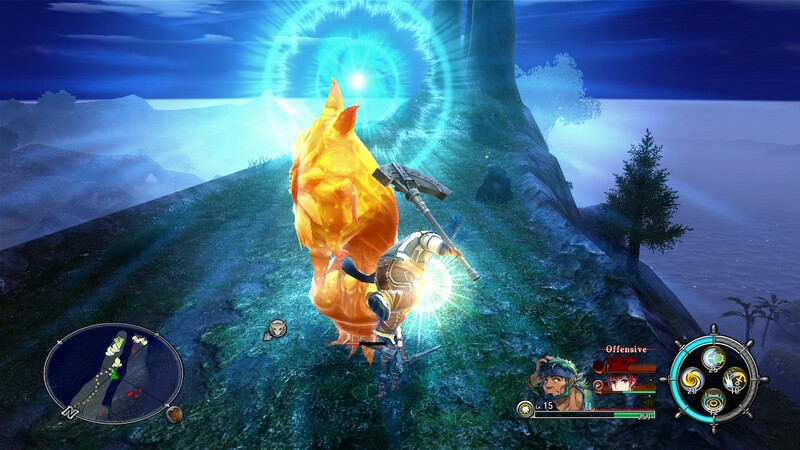 Fighting gives you different sound effects for heavier and lighter weapons as well as from different attacks. Monsters don’t make that much noise except for their attacks. 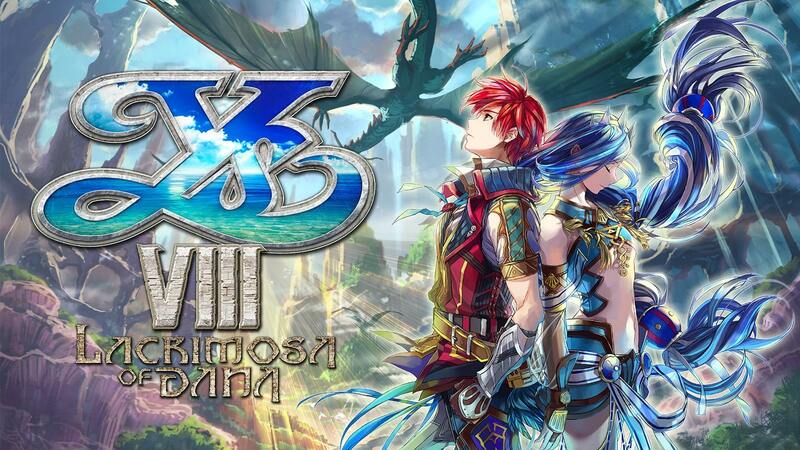 Ys VIII: Lacrimosa of DANA is an action RPG where you’re stranded on a deserted island. Adol ends up stranded on the Isle of Seiren together with other passengers of the ship; Lombardia. The Isle of Seiren is a famous island as nobody has stepped foot on it because all ships that come too close get shipwrecked mysteriously. On the island, a lot of different creatures/monsters reside. 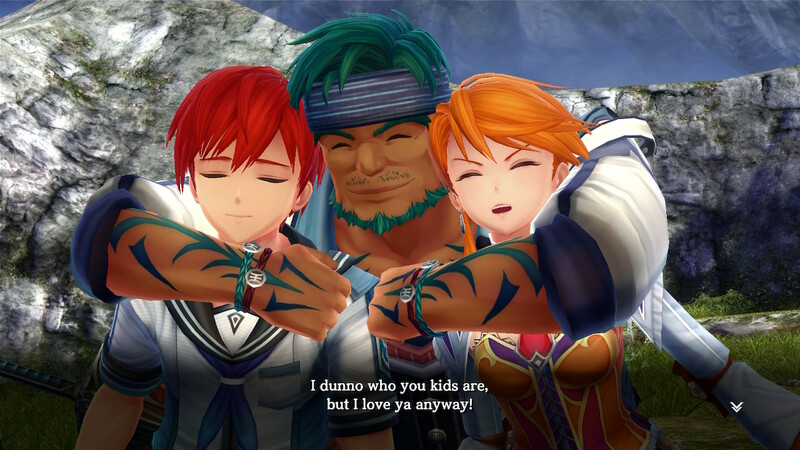 All of them are aggressive so Adol has to fight them off. Luckily after a while, he teams up with a noble girl called Laxia and a fisherman called Sahad. Each member of the party has different skills and a different weapon. The types of weapons are super effective against different creatures. So switching between party members is a must. 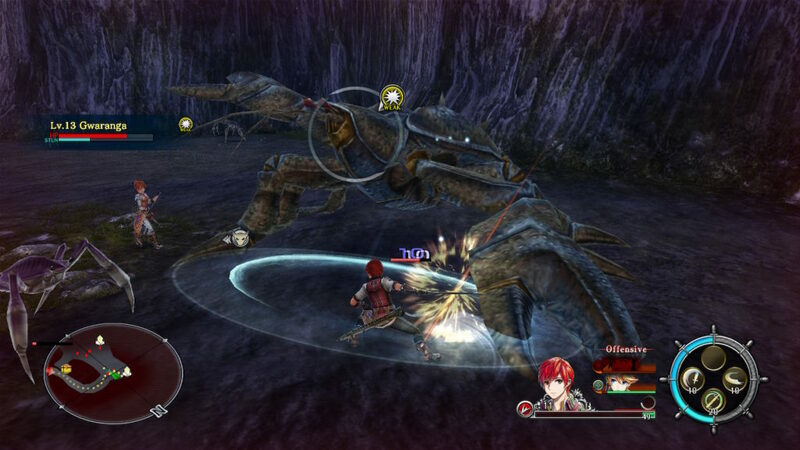 Each party member also has a sort of different fighting style as Laxia uses a fencing technique while Adol uses a regular sword technique and Sahad just swings an anchor around. So when no weapon is super effective it’s best to switch to the character you are most comfortable with. For defense, you can only dodge or use the right timing to use a quick guard button. If you time your dodge right, you get a “flash move” which makes you faster than the enemies for a little time. When you time the guard button correctly you get a “flash guard” which makes you crit every attack you make for a little while. While you fight and defeat more and more enemies you will unlock different skills for each character as well as a special move. Four spots are available to place skills in to use per character so when you’ve unlocked more than four you will have to choose. Skills will use SP which you get from fighting and the special move has a different bar that also fills up while fighting. These moves can help you beat difficult enemies so they are quite important. As you discover more of the island you draw more of the map as well. As you unlock more of the map you can show the captain of the ship in the base camp and he will give you a reward. Each time you unlock a new section of the map, special areas get marked. Quest markers often appear before you have sections unlocked. While you discover new sections you will find more survivors which you then take back to the base camp. Almost every survivor has a special ability that will come in handy for you. For example: a seamstress and a blacksmith will help you out when you rescue them. Each time you rescue someone certain parts get upgraded in the base camp. So you will be able to get stronger with the help of other survivors. Castaways can also help you clear away blockages in roads. Each blockade has a number of survivors you need to be able to open the road. The other castaways sometimes have requests that you can fulfill as a side quest. Most side quests are either helping to make the base camp better or make the survivors help get better materials to help you. It’s quite helpful to do these side quests as they are beneficial for you and they are mostly easily solved by just collecting materials on the way to the main quest. Materials can be found everywhere and are even marked on the map. Some will grant you back HP like fruit and are quite handy to have with you since healing potions are rare. At a certain moment, you will be able to learn how to fish and afterward learn how to cook. Fishing not only gives you fish meat but materials as well. You can sometimes even fish up treasure chests. Fishing places can be recognized by a collection of shadowy fishes in the water. Cooking requires you to learn recipes, however, you learn the recipe of fish soup after learning how to fish so you can at least cook one dish to heal you. Ys VIII: Lacrimosa of DANA is a fun game that has a nice and mysterious story. You will have to do a lot of discovering and getting lost while searching the Isle of Seiren for castaways. It’s however never boring as there are different kind of enemies and new story parts to be discovered every new section you unlock. The game is fun to play for a long time and just relax by slaying some monsters. If you liked the previous Ys games, then this game is certainly for you. 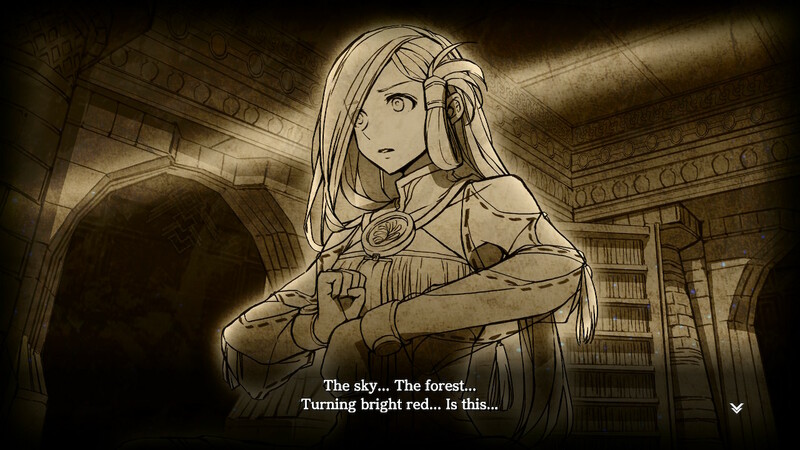 People who like playing RPGs, discovering new places and also don’t mind the anime art style should certainly give Ys VIII: Lacrimosa of DANA a try.